Soul is in da house! 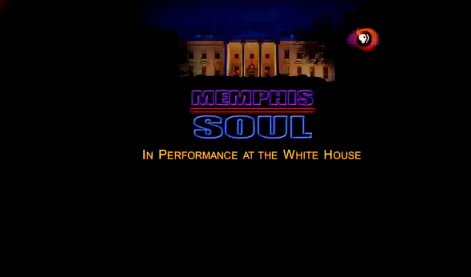 PBS’s “In Performance at the White House: Memphis Soul” features the Alabama Shakes, William Bell, Steve Cropper, Eddie Floyd, Ben Harper, Cyndi Lauper, Joshua Ledet, Sam Moore, Charlie Musslewhite, Queen Latifa, Mavis Staples, Justin Timberlake, Booker T Jones. It’s nice to see those collars loosen up and those heads bopping around the East Room. Watch the hour-long show here.